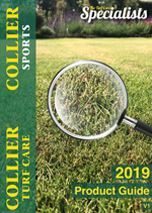 A new unique product specifically formulated for turf. This specialist silica and potash fertilizer is designed to make your grass stand up straight. Improves uniform cutting and appearance of turf with increased ball roll and green speed.